Mountain Honey was the clear winner in our 2016 melon trials, outperforming 9 other varieties in every category: vigor, good health, productivity, and especially taste. Orange flesh is firm, smooth, and consistently delicious. It’s what other cantaloupes wish they tasted like! 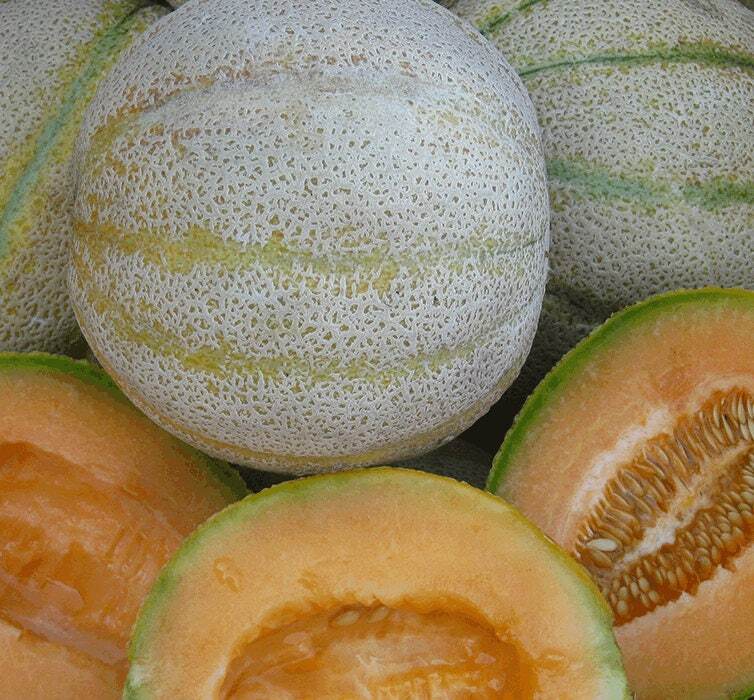 Each plant can produce a dozen melons in the 2-5/lb. range. Bred by Don Tipping in Williams, Oregon, for hot days and cold nights, Mountain Honey can thrive and produce in situations that are marginal for other melons. Short seasons and cooler night temperatures don't phase it. Here in Potter Valley, for instance, we consistently have a 40-50 degree drop from daytime to nighttime temperatures all summer, so even with 100-degree days, it can go down to 50 at night. Mountain Honey also did not slow down for the excessive heat of 2017, doing fine at 115 degrees. We loved the fast n free shipping and communication from the seller. Out of 6 seeds started, 5 have emerged, which is great. They look okay so far. They aren't as far along as we'd like in size. But perhaps we're basing it on past melons. This type is new to us. We're hopeful they will take off, once it's time to transfer them to the garden.